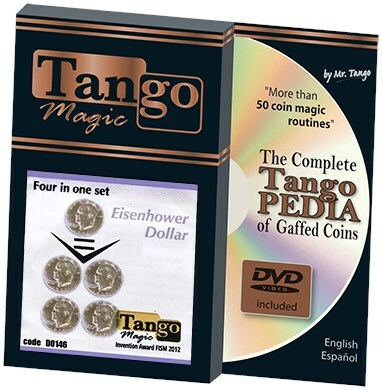 The magician shows four Eisenhower dollar coins in his hand. He takes one of the coins to his pocket, yet, when reopened, his hand still has 4 coins again. This is repeated with the same outcome until the finale when all of the coins disappear!